There is only one King that all men are to submit to: Jesus Christ. Henry Krabbendam was born on December 19, 1935 in Rotterdam, Netherlands. He married Beth Nee Vandooren on August 20, 1960, and together they had four children. He earned his BA in ‘54 and his M.Div. in ‘59 from the Theological University in the Netherlands. 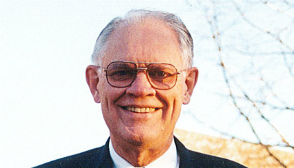 From 1960 through 1969, he pastored several congregations in the Canadian Reformed and Orthodox Presbyterian Churches. During this time, he earned his Th.M. in Systematic Theology (‘62) and his Th.D. in Apologetics (‘69) from Westminster Theological Seminary in Philadelphia.